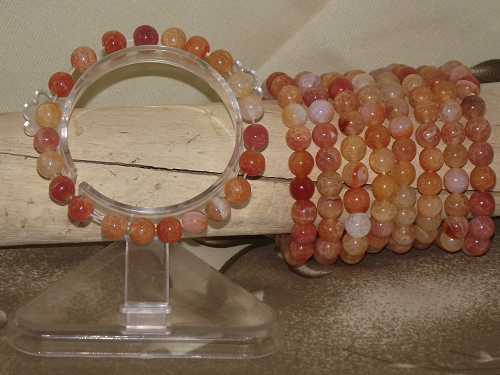 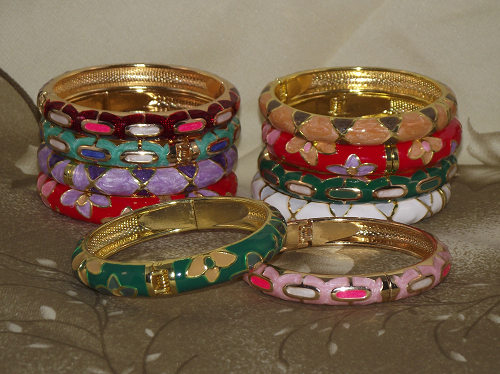 Carnelian fashion bracelets strung with natural crystal quartz gemstones. 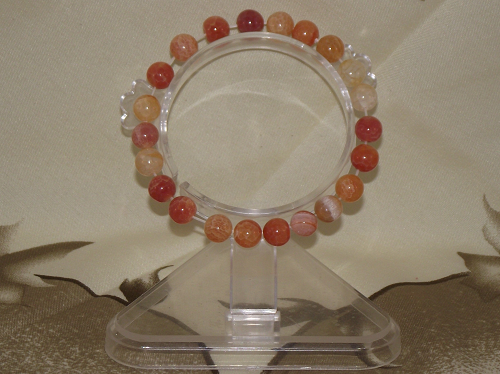 Carnelian is a semi-precious crystal quartz gemstone with protective qualities, and is a symbol of courage and endurance. 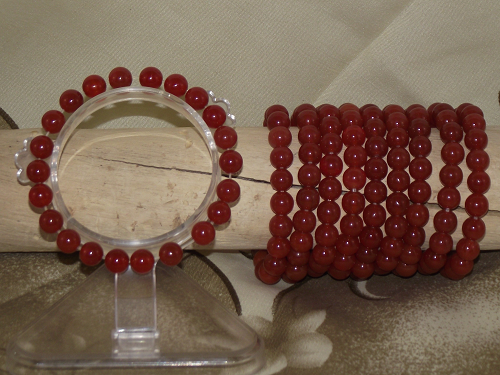 Believed to enhance wealth and prosperity prospects, this eye-catching carnelian fashion bracelet will compliment any colour outfit. 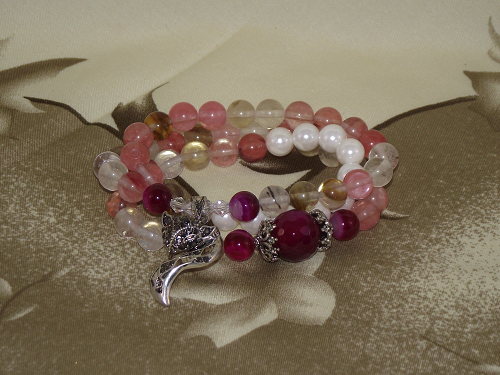 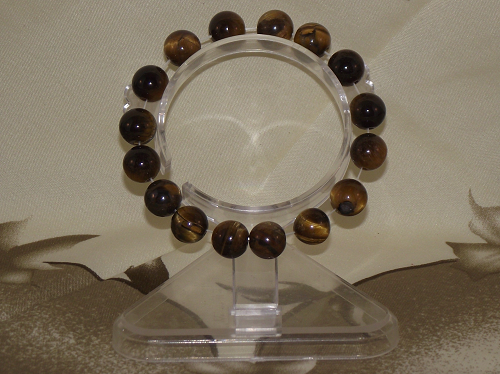 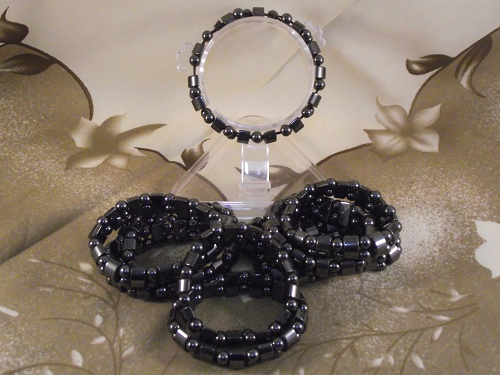 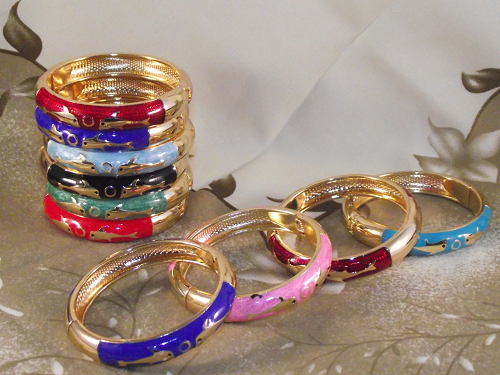 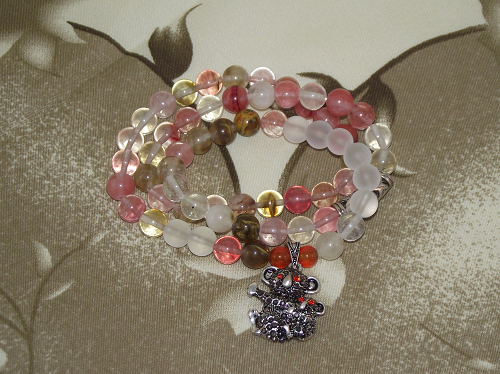 The 6mm gemstone beads are strung onto a strong, elasticated wrist cord.